Hugh Nanney (Courtesy of Mark Anway in the USA). 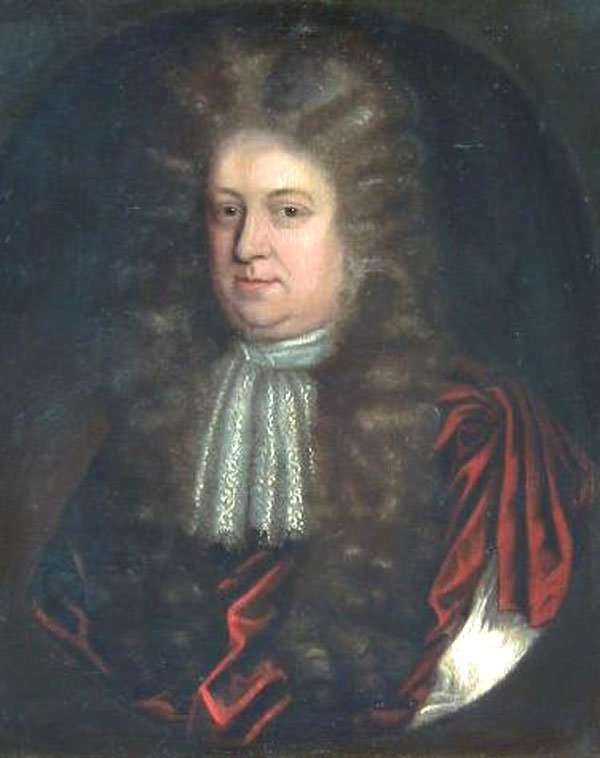 Colonel Hugh Nanney was elected the Member of Parliament for Merioneth in 1695 (unopposed), succeeding his distant cousin Sir John Wynn, 5th Bt. He was also the local Deputy-Lieutenant and Colonel of Militia, rising to Vice-Admiral of North Wales in January 1697 which he held until his death. He took over the Nannau Estate around 1689 when his elder brother was replaced as Sheriff of Merioneth. He married Catherine Vaughan of Cors-y-Gedol in 1690 and they had four daughters, but no male heir. He was re-elected unopposed at the 1701 election, but was struck down with a violent cold during the bad snow and rain when traveling to parliament. This turned into a fever which took his life in a matter of days. He died aged 31. He left his widow a £300 annuity (around £70,000 in todays money), £2,500 for his three younger daughters and the estate valued at £1,000 p.a. to his eldest daughter Janet. 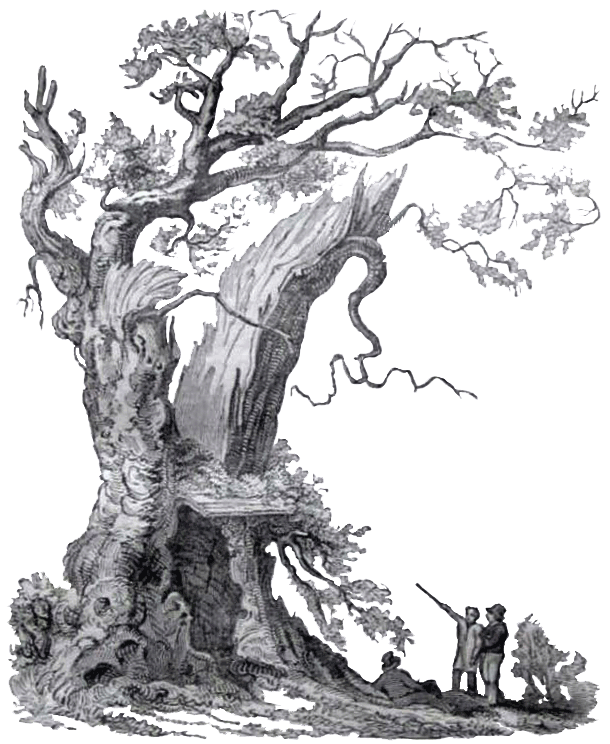 When she married Robert Vaughan of Hengwrt in 1719 it ended the six-hundred years of unbroken succession of the Nanney line and started the line of Vaughans. It was at the time of the Colonel that Nannau was the last of the Welsh houses to employ a Welsh bard, John Davies of Penllyn, alias Sion Dafydd Lâs (who died in 1694). He had collected the works of the bards who had sung the praises of Nannau and Corsygedol for three hundred years. The painting is an 18th Century Portrait of Colonel Hugh Nanney (oil on canvas) pictured in baroque cloak, attributed to Randle Wilcoke. Photo courtesy of the current owner, Mark Anway in the USA. 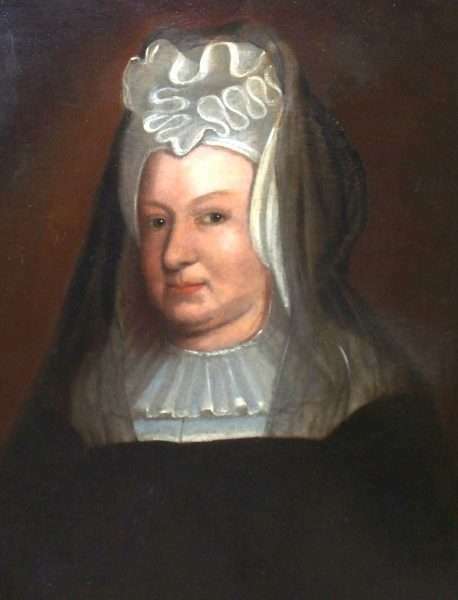 18th Century Portrait of Catherine Vaughan – Widow of Colonel Hugh Nanney. Sold at auction in Walter Lloyd Jones Saleroom, Barmouth in 2011. The price realised was £290.00.